In the latest episode of fashion merging with technology, Google has announced a collaboration on a fashionable range of Google Glass with Luxottica. The famous Italian eyewear company manufactures glasses for the likes of Prada, Chanel, Armani and Burberry. 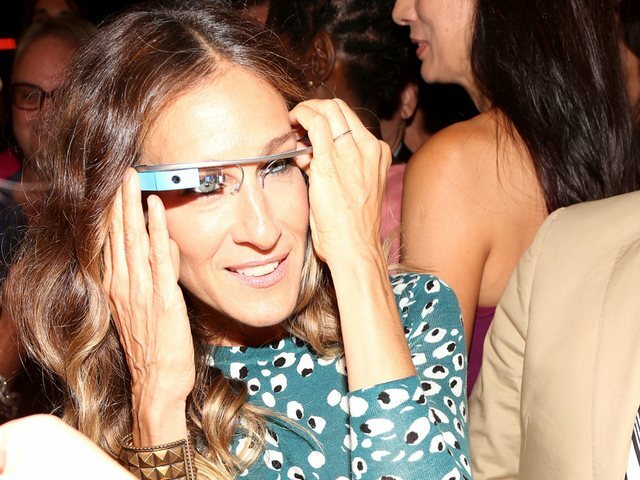 The collaboration between the two giants is set to make Google Glass look less like Google Glass. In this style-savvy day and age, it’d be foolish not to aim high. I expect no less than must-have, state-of-the-art spectacles resting on the impeccably powdered noses of Anna Dello Russos at fashion week while they snap Instagram pics with the blink of an eye. Yes, so mighty are the possibilities of Google Glass. Google and Luxottica have yet to let us know the details such as designs and price. However, cult brands Ray-Ban and Oakley are confirmed to partake in the collaboration, out next year. Who would’ve thought that good old Ray-Bans will one day boast the functionality of a computer? It sounds like science fiction. In less than a year, it’ll be reality.